For exceptional efforts in motivating, inspiring and cultivating the clinical and research efforts of upcoming generations of cardiothoracic surgeons, Dr. Kamal Mansour received the 2010 Southern Thoracic Surgical Association Inspiration Award. The STSA established the award in 2007 to acknowledge the crucial importance of mentorship in developing CT surgeons and to recognize and positively reinforce STSA members who have excelled in their mentorship roles. Dr. Mansour was only the second person to receive the award. Emory Surgery faculty member Dr. Vinod Thourani, who first met Dr. Mansour 18 years ago as a medical student at Emory, said: "With Dr. Mansour planning to retire from surgical practice by the end of the year, my only regret is that future Emory residents will be robbed of learning from one of the giants of thoracic surgery. Not only will they miss working with a consummate surgeon and masterful anatomist, they won't experience the contagious fervor of one of the most humanistic individuals that I have had the privilege of working with." 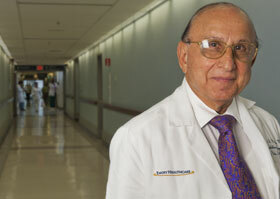 Dr. Mansour has been at Emory since 1971 and currently practices at the Atlanta VA Medical Center. He was awarded the 2001 Shield of Medicine by the Medical Scientific Society of Egypt for being one of the ten most outstanding Egyptian doctors in the world and received the prestigious Emory Medal for distinguished service and notable professional and academic achievement in 2008. (left) Dr. Alessandrina Freitas, the first Emory general surgery resident to successfully conclude the course. (right) Dr. Cendales. 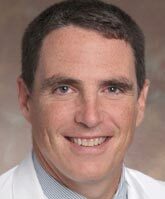 To disseminate advancements in the field and its versatility, Dr. Cendales has initiated a microsurgery course for Emory and non-Emory physicians, fellows, residents, technicians and students. Recently, Dr. Alessandrina Freitas was the first Emory general surgery resident to successfully conclude the course. Participants receive training in the use of the operating microscope and associated microsurgical instruments, basic microsurgical dissection and suturing techniques, artery and vein anastomoses, end-to-end and end-to-side repair, interpositional vein graft and neurorrhaphy. Research-technicians can also receive training in the microsurgical skills required for animal models in the lab. Feedback and evaluation are provided throughout, as well as individual, one-on-one laboratory instruction, guidance and monitoring. Following three weeks advance registration, the course is available year-round on a weekly basis. Upon completion, trainees receive a Microsurgical Techniques Training certificate. To register or for additional information, please contact Dr. Cendales at either lcendal@emory.edu or 404-727-1731. In recognition of Dr. Cendales’ success and national standing as a microsurgery specialist and pioneer in Vascularized Composite Allotransplantation, she will be one of the featured honorees of Women First, an inaugural program celebrating the accomplishments of School of Medicine-associated women who have been the first in their particular field, program, or focus of study to make substantial impact in a particular area. This year’s other featured nominee is Dr. Nanette Wenger, Chief of Cardiology at Grady Memorial Hospital, who has made vast contributions to the study of coronary heart disease in women. Dr. Cendales and Dr. Wenger will share their stories and answer questions at the official Women First program on March 23, 2011, 1:15pm-2:45pm in SOM 110. The event is sponsored by the SOM Office of Staff Development and the Medical Alumni Association. “Is it possible to train surgeons for rural Africa? A report of a successful international program" was electronically-published prior to print by the World Journal of Surgery on December 30, 2010, and describes the 13-year campaign by the Pan-African Academy of Christian Surgeons (PAACS) to address the critical shortage of surgeons and access to surgical care in Africa. 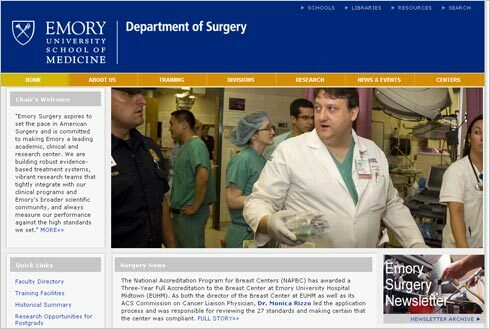 Beyond the quality of its reportage, the article serves as a suitable preface to the development of our own Global Surgery Program and the opportunities it will offer as a unique and rewarding training outpost for our residents. 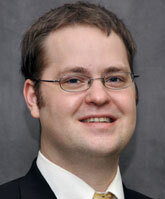 Lead author Dr. Jonathan Pollock, who joined Emory Surgery last July, will be relocating to Africa in mid-to-late 2011 to train Ethiopian surgical residents under the auspices of PAACS while maintaining his Emory appointment. When his site is established and stateside approval and support have been finalized, Dr. Pollock will begin directing the Emory Global Surgery Program, one of only a handful of such initiatives in the world, and residents will be able to do rotations in Ethiopia. PAACS began training African surgical residents in 1997 using a five-year American competency-based model, the primary requirement being that trainees be graduates of recognized medical schools. The article states that by 2010 PAACS was training 35 residents in six programs located in four countries. Eighteen general surgeons and one pediatric surgeon have graduated thus far and two more surgeons are scheduled to finish training in 2011, an achievement the authors believe to be "a small but important step toward reversing the surgical workforce deficiencies in sub-Saharan Africa." Four graduates have gone on to subspecialty training while the remainder are practicing in rural and underserved urban centers in Angola, Guinea-Conakry, Ghana, Cameroon, Republic of Congo, Kenya, Ethiopia and Madagascar. Dr. Pollock’s co-authors included Emory PGY-2 resident Dr. Timothy Love and Dr. David C. Thompson, executive director of PAACS. A research team co-directed by Dr. John Sweeney, chief of the Division of General and Gastrointestinal Surgery and director of Emory Surgery's Clinical Quality and Patient Safety program, and James C. Cox, director of the Experimental Economics Center of the Andrew Young School of Policy Studies at Georgia State University, received a three year collaborative award from the NIH's National Institute on Aging to fund "Uptake of Comparative Effectiveness Research: Implications for Discharge Decision." The project will focus on hospital length of stay as a central factor in the increasingly important and complex interplay between quality of health care delivery and medical costs and will experiment with alternative choices and new applications of information technology designed to increase physicians' effectiveness in identifying the optimal time to discharge a patient. "The inpatient environment bolsters the intensity of care, and indeed longer hospital stays have been associated with a lower incidence of adverse outcomes leading to readmissions," says Dr. Sweeney. "However, the hospital is also an exceptionally expensive care delivery environment, both financially and in terms of nosocomial illness and iatrogenic risk, and unnecessarily prolonged stays can precipitate higher costs and lower quality of care." The team will examine the uptake of comparative effectiveness research (CER) for the discharge decision in patients who have undergone complex surgical resections for GI malignancy, focusing on how well hospital discharge decisions in recent practice conform to the CER while also observing the results of an alternative choice architecture designed to promote better CER uptake for the discharge. 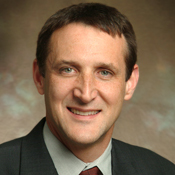 (Director of Development, Department of Surgery) Todd Randolph will be responsible for overseeing fundraising activities and the implementation of a strategic plan to increase the Department of Surgery's support base among individuals, corporations, charitable foundations and additional sources in a cost-effective and time-efficient manner. He plans to communicate and work collaboratively with each division so that he will become familiar with their unique academic, clinical and research components and needs, thereby maximizing the number of vital annual and capital gifts for that division as well as the department. Mr. Randolph holds a B.S. in Biomedical Science from Texas A&M University and has over 15 years of sales experience and time spent doing volunteer work for philanthropic organizations. (Administrator, Oral and Maxillofacial Surgery) Sanket Shah will be dividing his time between OMS and Gastroenterology and is an exciting addition to an already fantastic management team. 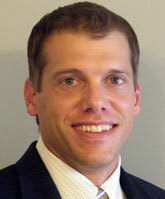 He comes to us from Pricewaterhouse Coopers where he was a senior consultant for the Health Industries Division. 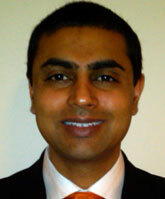 Mr. Shah has an MBA from the Emory Goizueta Business School and an MPH from the Emory Rollins School of Public Health. He also received undergraduate degrees from the University of Florida in Finance as well as Biochemistry and Molecular Biology.